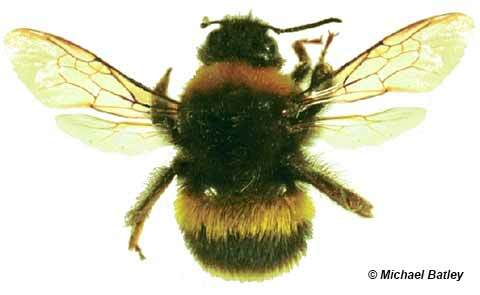 We have no native bumblebees in Australia, but there are feral European Bumblebees in Tasmania. 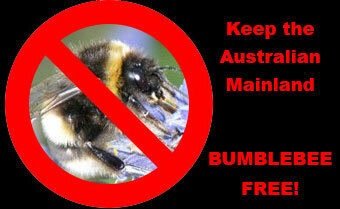 Please help us keep exotic Bumblebees out of mainland Australia! 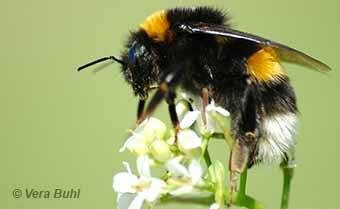 Be on the lookout for Bumblebees (described below) on the Australian mainland and report any sightings to local authorities! 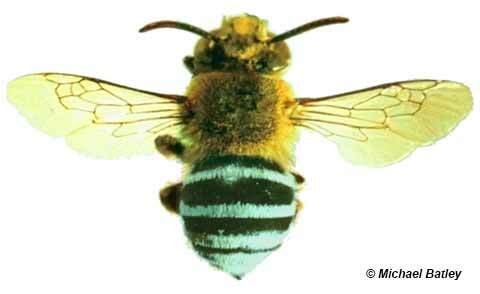 The Bumblebee which is most likely to slip through quarantine on the Australian mainland is the European Bumblebee, Bombus terrestris, because of the feral population of this species in Tasmania. 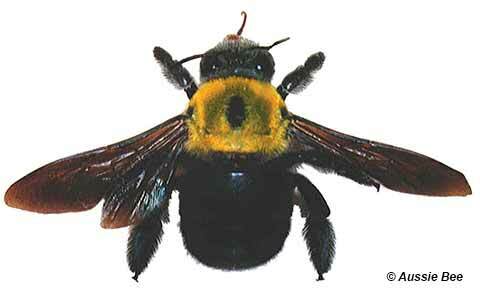 Please note though, that several Australian native bee species are sometimes mistaken for the European Bumblebee. 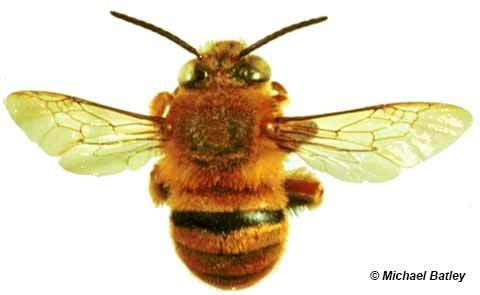 The following information will help you work out if a bee that you have seen is a feral Bumblebee or an Australian native bee. -- cavities underneath concrete paths or houses. A thriving colony may have a queen and 200 to 300 workers. 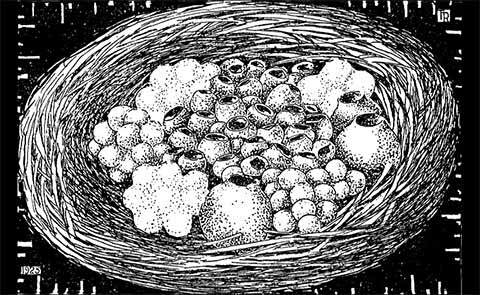 The nests are usually in a small cavity containing fine grass fibres for insulation of the brood.